All animate and inanimate world gets absorbed in the time of cosmic dissolution the true function of this power is associated with Mahesvara which brings the final residue and becomes instrumental of recreation as well. In the union of Siva and Sakti both are typified in the cosmic emblem. In the union of the two the whole creation emerges. 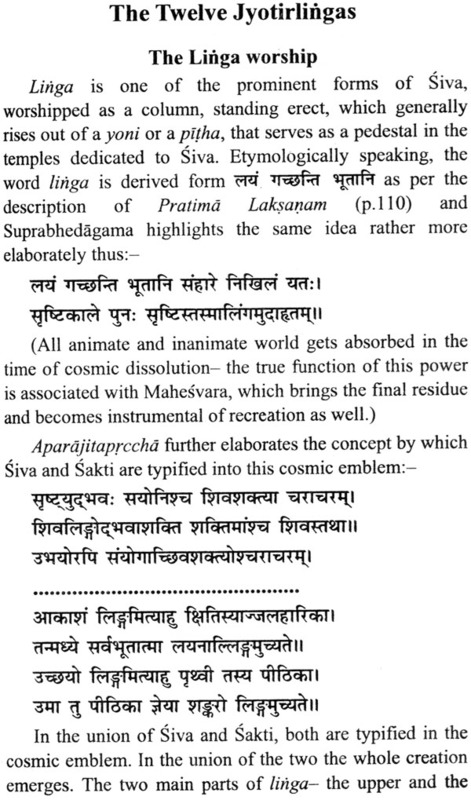 The two main parts of linga the upper and the lower are said to represent the sky and the earth in whose lap the whole creation is evolved and they represents Siva and Siva respectively. The Markandeya Purana testifies that Siva and Visnu are the creators of the universe and they together form Ardhanarisvara aspect of Siva. This is an allusion to the Haryardha form of Siva in which the female generative principle is identified as Visnu. The male and female aspects are inseparable and are ever found together in the conmic evolution in Haryardha form of Siva. The Same idea in a brief manner is projected by the symbolical representation of Linga and yoni. 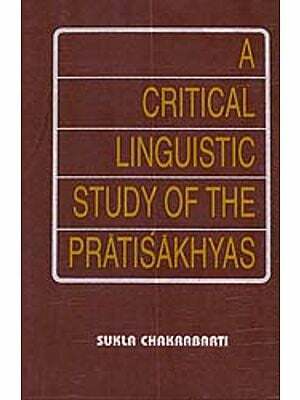 The linga purana states that pradhan i.e. the nature is called the Lingam the one who sustains the Linga and that the pedestal or the pitha of the linga is Mahesvara himself. 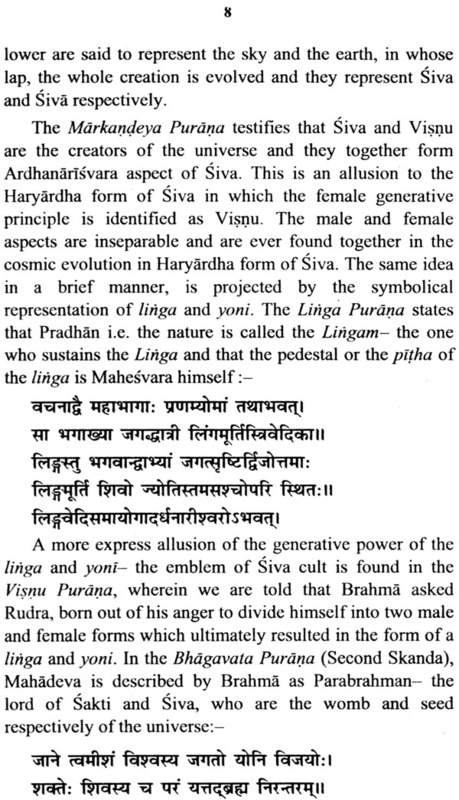 A more express allusion of the generative power of the linga and yoni the emblem of Siva cult is found in the Visnu Purana wherein we are told that Brahma asked Rudra born out of his anger to divide himself into two male and female forms which ultimately resulted in the form of a linga and yoni. 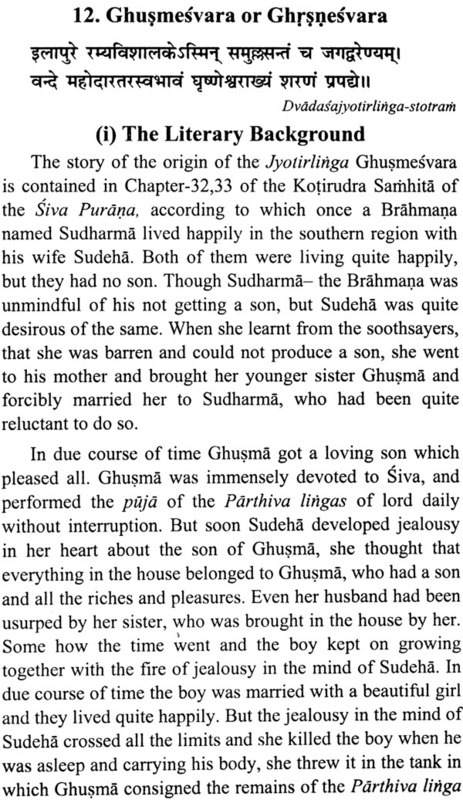 In the Bhagavat Purana (Second Skanda). Mahadeva is described by Brahma as Parabrahman the lord of Sakti and Siva who are the womb and seed respectively of the Universe. Mahabharata on the other hand says Siva Standing aloft consumes the lives of men and since he is fixed and since his linga too is perpetually fixed he is called sthanu and when his linga remains continuously in the state of chastity and the people adore it this is agreeable to the great god Mahadeva. Whosoever shall adore the image or the linga of Mahadeva enjoys great prosperity. It is the linga which the Rsis, Gods, Gandharvas and Apsaras adore and is the one whose seed is raised up. According to the Saiva Principle Siva has two forms. The one is the linga or the phallus and the other is anthropomorphic image or the human form comprising of the five elements. The linga is the symbol of seed i.e. unborn (bhuvanasya ratah) but the seed fecundates the principle of motherhood that is Virat Prakrti or the universal nature. She has the potency of converting the seed into the material form which has seen component parts viz, life and five elements of mother. These form proceed from unmanifested cause and symbolize the Purusa-vigraha or the human form of the lord. 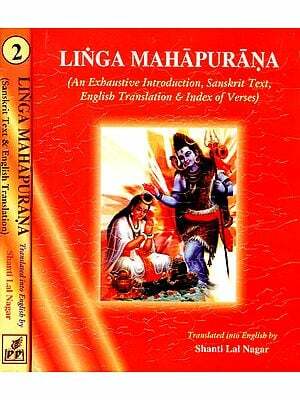 Both linga and vigraha and Purusa vigraha exist side by side the one as the cause and the other as the effect. 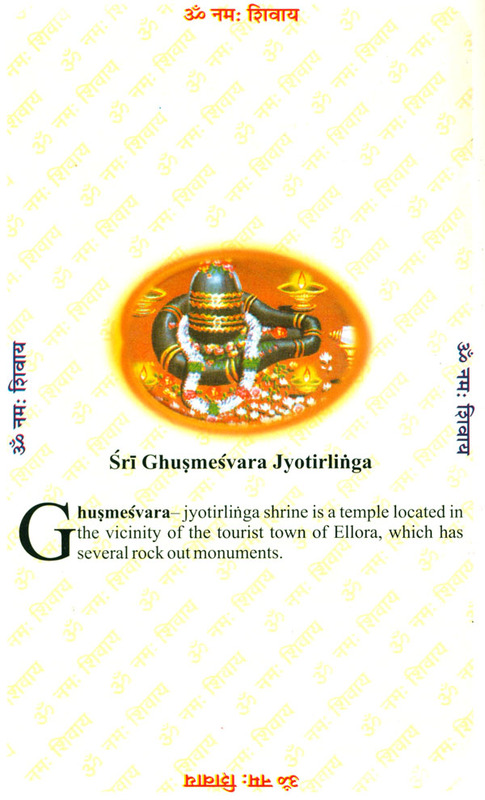 In the religious literature they are found together but mostly it is the linga form that is considered higher and is installed in the temples. The linga form is called sthanu the stable principle and the opposite of it is the form which in the sense organs are evolved. The basic difference between the seed and the body is that all the different manifestation of the sense organs are unmanifest in the linga. The linga is the aniomic form of iconic. In the latter the principle of various sense organs becomes explicit because of the Presence of the Indriyas or the organs of senses. The Power of Indriyas functioning behind them is established beyond doubt. 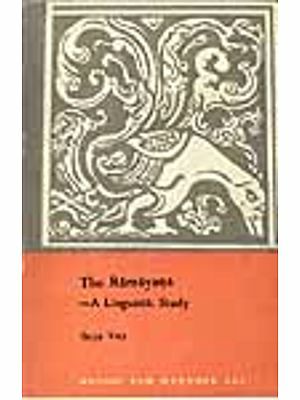 Thus the two aspects of Siva underlie the significant legend found in the Puranas and many other texts with different versions. The outward forms of story may differ but the essentials remains the same i.e. the power of Siva as Purusa and of Prakrti as his linga both of which go together as in the Ardhanarisvara form of the deity.